The Travel Ban indefinitely suspends the issuance of both immigrant and non-immigrant visas to applicants from Iran, Libya, Somalia, Syria, Yemen, North Korea, and Venezuela. President Donald Trump issued Presidential Proclamation 9645 (Travel Ban 3.0) in September 2017 after the first two iterations of his Travel Ban were blocked by the judicial system. The third iteration of the Ban currently remains in effect after being upheld by the Supreme Court on June 26th, 2018. Over 135 million people are impacted by the Travel Ban with the majority being Iranian nationals. Among the seven nations included in the Travel Ban, Iran had the largest total number of legal entrants into the U.S. (310,182) between 2006 and 2015. Two-thirds of those entrants arrived in the U.S. on temporary visas. U.S. Citizens and green card holders are not affected by the Ban. Any foreign national traveling on a diplomatic visa, NATO visa, C-2/U.N. visa, or G-1, G-2, G-3, or G-4 visa is also exempt. Those traveling from Iran with valid student (F & M) and exchange visitor (J) visas are allowed to enter the States but will face enhanced security screening. 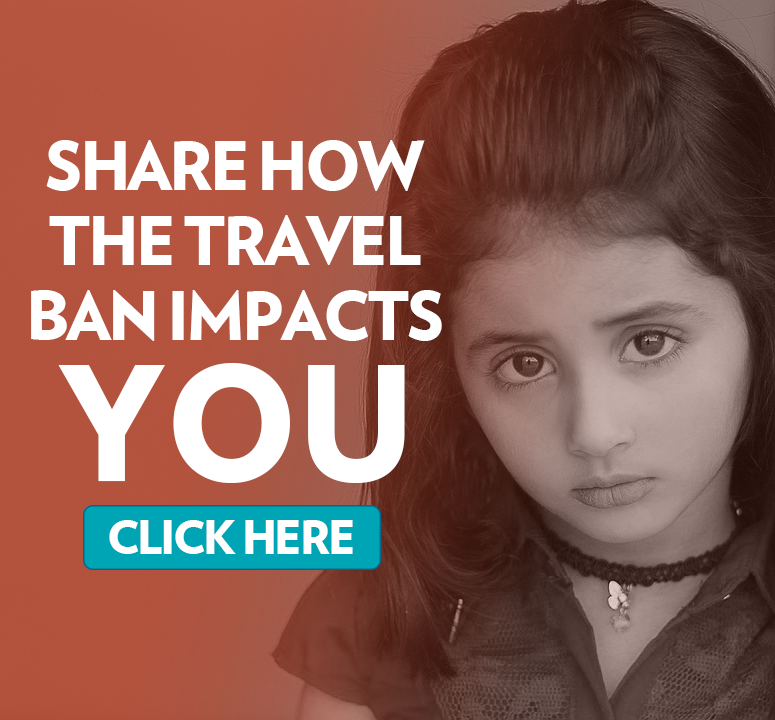 Click here to read about how the ban is applied to the other countries on the list. The third iteration of the Travel Ban includes a provision that permits consular officers to grant waivers on a case-by-case basis if the applicant meets specific criteria. In addition to filing a lawsuit against the Trump Administration and submitting an amicus brief to the Supreme Court, PAAIA has been working with Senator Chris Van Hollen’s office to obtain clarification on this waiver provision. Unfortunately, our efforts revealed that very few waivers are being granted, even when applicants meet the Proclamation’s criteria. The State Department admitted that only 2% of applicants have been “cleared for a waiver” as of April 30th, but it is unclear how many have actually received said waivers. As a result of these findings, Justice Breyer referenced our amicus brief in his dissent, calling the waiver provisions ‘window dressings.’ To learn how to increase your chances of receiving a waiver, please read the section below. In a letter recently released by Senator Chris Van Hollen (D-MD), the State Department admitted that as of October, only 6% of total applicants and only 1% of Iranian applicants have been “cleared for a waiver,” further demonstrating the intentionally discriminatory nature of the Travel Ban. Despite the Supreme Court’s 5-4 decision to uphold the proclamation, PAAIA and it’s coalition–IABA and Pars Equality Center–will continue to fight against this discriminatory ban until it is struck down. Our partners have filed a class action lawsuit challenging the waiver process that is still in the courts. entry would not pose a threat to the national security or public safety of the U.S. If you meet all three criteria, you may be granted a waiver, but as October 31st, 2018, only 2,578 waivers out of more than 140,000 applications had been granted- and an even smaller proportion of Iranian nationals had received waivers. Of the 29,634 Iranian national visa applications that are subject to the travel ban, only 413 have met all three criteria for a waiver, with even fewer visas actually issued to those who met the criteria. Obtaining a waiver is very unlikely, but there are steps you can take to increase your chances. To make sure your travel plans are in the national interest of the United States, you must show that a U.S. person or entity would suffer hardship if you could not travel until after these visa restrictions are lifted. Making sure you are not a threat to U.S. national security seems to be the most difficult and opaque criteria to overcome. The State Department has indicated that the national security standards for a waiver involve “administrative processing” and looking at how much information the applicant’s country shares with the U.S. government, which is supposedly the same rational used to put that country on the Travel Ban list in the first place. Unfortunately, the U.S. and the Islamic Republic of Iran have not had formal diplomatic relations since 1980. Make sure to explain why you qualify for a waiver during your interview; don’t just rely on the documents you provide. Be aware that even if you take all this advice and have a detailed waiver packet, your chances of receiving a waiver remain very low. Evidence of a bona fide relationship with someone in the United States. Include marriage certificates, birth certificates, and death certificates of immediate relatives and evidence of U.S. citizenship or legal permanent resident (LPR) status. Argue family separation causes undue hardship. Document economic hardship to U.S. citizen/LPR relative by providing receipts for money transfers to support the household overseas, employment contract or letter from employer or school showing limited time off for travel, etc. Document evidence of adverse economic impact with a statement from a U.S. employer or business interest regarding the cost of recruitment, loss of business, impact on critical business projects, etc. Document medical hardship/illness by providing your medical reports, psychological evaluation reports, letter from a physician including a specific diagnosis and symptomology related to illness, describing the limited treatment options in your home country, prior attempts at treatment, prescription records, history of hospitalization (if applicable), letter from U.S. medical facility or physician who will treat you, including scheduled appointment for you and proposed treatment and recovery schedule, and evidence of funds to pay for treatment. Provide evidence of imminent travel date, such as an airline itinerary, hotel booking, car rental booking, conference schedule, meeting agenda, etc. More information about the waiver process and applying for a visa can be found here. If you have the means to hire a U.S. immigration attorney to work on your behalf, that could be very beneficial to your cause. An immigration attorney can write persuasive letters detailing why you should receive a waiver, contact embassies on your behalf to follow up with your application, and prep you for your visa interview, but hiring an attorney will not guarantee that you receive a waiver. Below, we’ve compiled a list of websites where you can find prominent immigration lawyers. offers free consultations & has a toll-free phone number for persons located outside the U.S.